We are an enthusiastic and friendly class of 30 pupils; 10 Year 1 pupils and 20 Year 2 pupils. In our class Mrs Hayes, Mrs Fleming and Miss Jones help us everyday to learn new, fun and exciting things. We aim to maintain a happy learning environment, in which everybody's opinions and ideas are valued. We often work with our learning partners and support each other in our learning. We are always up for a challenge and encourage each other to ask questions to help deepen our understanding and further develop our learning. Please keep coming back to our page as we would love to share our new learning with you! Reading Books - School reading books are changed in school every Friday. Please can you make sure you are reading daily with your child and that their book is brought back each Friday to be changed. Homework - Homework projects are to be handed in throughout the half term once completed. Please see bottom of this page for your child's current homework projects for this half term. Weekly spellings are also given out on a Friday. You can also access TTRockStars and My Maths online to practise different maths skills (links to these pages are in the maths section on this page). PE - Our PE day is on Wednesday with Mr Stratford. Please can you make sure your child has a suitable PE kit to use - both indoor and outdoor kit is recommended at this time of year. Please can you make sure all PE kit is clearly labelled with your child's name. Last Day of Term - Friday 20th July 2018. Summer Term 2 - This half term Year 2 children will be reading the story 'Where the Wild Things Are' and using this to stimulate their own writing. Week 4 - This week we have started to write our own stories based on 'Where the wild things are'. We started by planning our ideas onto a story mountain that included an opening, build up, problem, resolution and ending. We are also going to be using our own Wild Thing that we created along with the new setting from last week. We are excited to be writing our own stories and are looking forward to reading each others next week! Week 3 - This week we used artwork to inspire our writing. We created a new setting for Max to visit ready to use in our own stories. Some of us created forests, jungles, deserts and even imaginary lands! We then used our artwork to help us to write a setting description. We continued to work on literacy skills like adjectives, adverbs and similes to make our writing interesting and to help the reader to picture our setting. 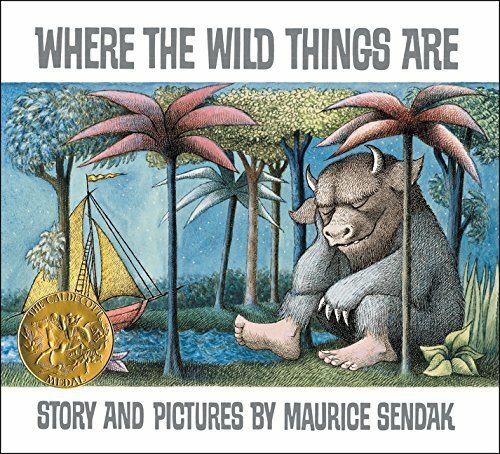 Week 1 and 2 - For the first couple of weeks in literacy this half term we have been reading the story 'Where the Wild Things Are'. We have looked closely at the Wild Things in the story and had a go at creating our own to use as a stimulus for our writing. We then had to use what we had created to write a character description including features such as adjectives, adverbs and similes. We created some fantastic descriptions and even had chance to edit and improve our writing to make it even better. Summer Term 1 - This half term Year 2 children will be reading different stories within a familiar setting and empathising with characters. They will also be reading different diary entries and writing a diary entry of their own. Children will then move onto using a story as a hook to then write postcards and letters for a purpose. Year 1 children will be continuing to work hard in their RWI groups learning new sounds, reading new texts and completing linked writing tasks. Week 7 - We have spent a lot of time this week independently writing our letters to Duncan that we planned last week. We had to make sure we used our plans carefully to help us structure our writing. We all thought really carefully about the presentation of our work and made we sure put in a lot of effort. We are really proud of some of our finished pieces of work. 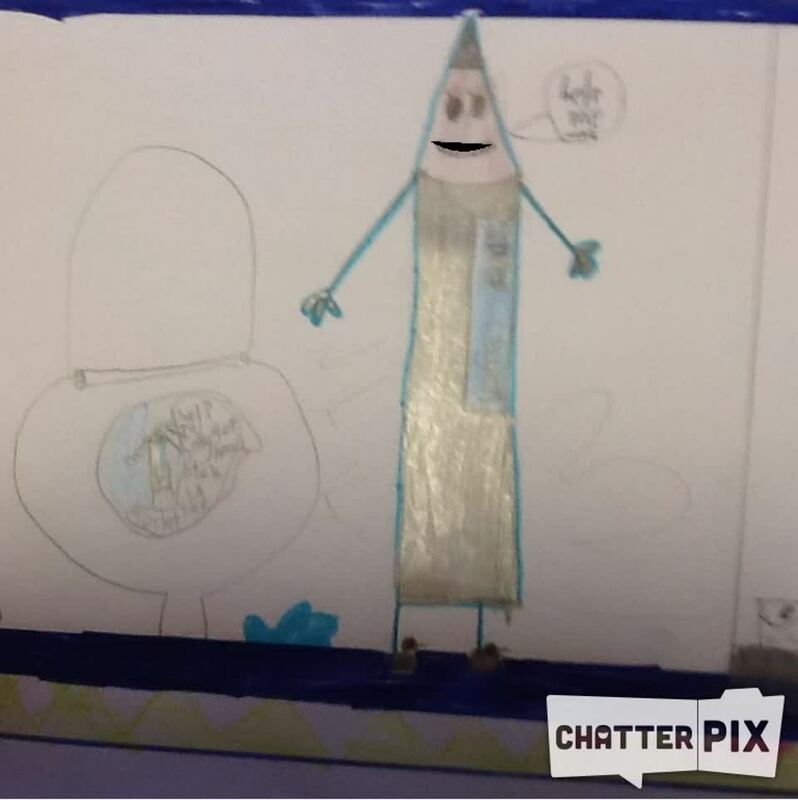 We also used ChatterPix App to bring one of the crayons to life! We used our postcards that we wrote in week 5 and created some artwork to use within the app. We thought carefully about using our voices to make the animation fun and interesting for the audience. See what you think to some of our work below. Matilda's Postcard from the Brightest Yellow Crayon in the World! 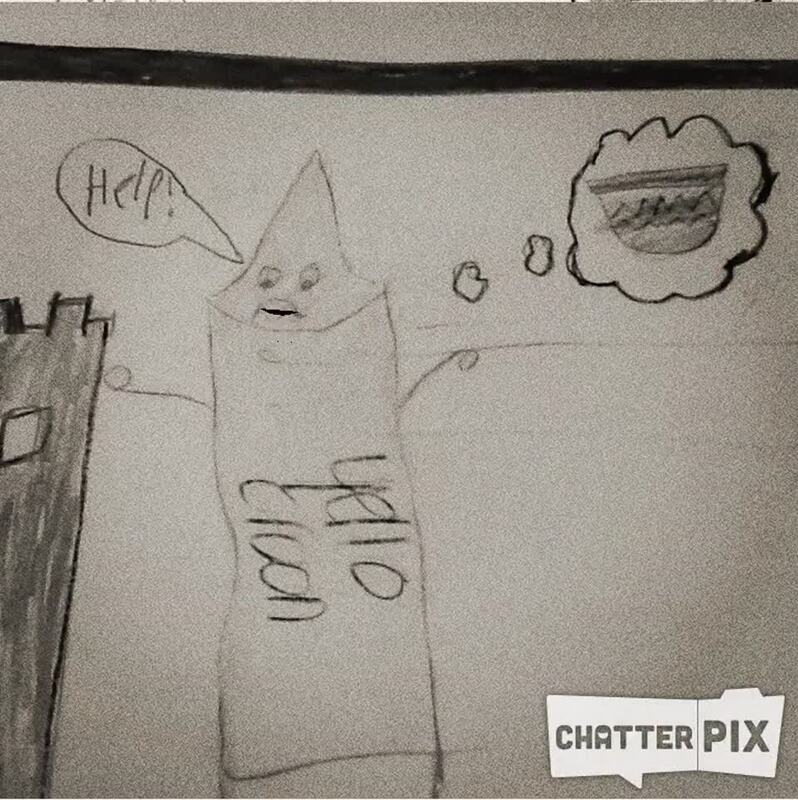 Georgie's Postcard from the not so pretty Brown Crayon! Week 6 - This week we came to school to find some special envelopes on our tables. We had to open the envelopes very carefully on our tables and they revealed different coloured crayons that had visited Mapplewell Primary School. But they weren't ordinary crayons they were crayons that had...something different had happened to them and we had to think about what we thought could have happened. We then went on to working really hard to plan a letter to Duncan from one of the crayons. In the letter we had to include which crayon we were, why we were writing, what had happened to use and what we wanted to happen next. We have all really enjoyed planning our letters and have had some fantastic ideas. We are looking forwards to writing the letters independently next week! 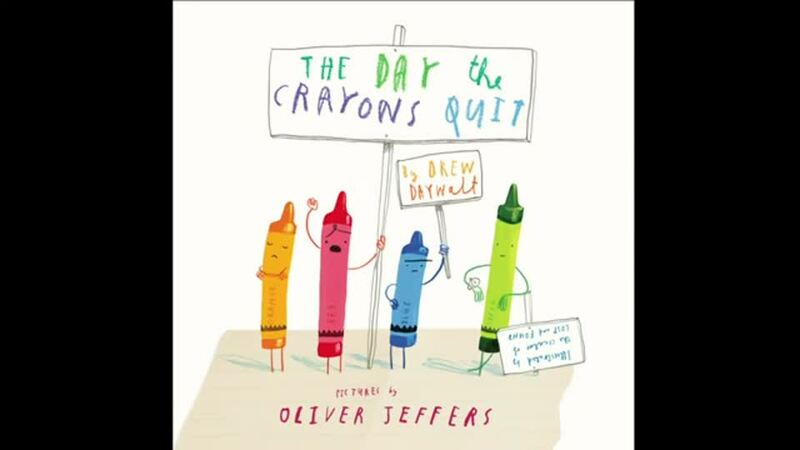 Week 5 - For this week of the summer term we have begun looking at a book called 'The day the crayons came home' by Drew Daywalt. We thoroughly enjoyed listening to an audio book of this story as it was really funny and was read with great expression. We even had a go at writing our own postcard from a crayon that we chose. Week 4 - In literacy this week we have been using our writing skills to independently write a diary. For our diary entry we had to imagine that we were Ben and then Ben had an invisible friend of his own that helped him to win at a football match. We had to keep reminding ourselves of the features of a diary when we were writing our own. We know that a diary should start with dear diary, include a date, be written in chronological order, should contain some adverbs of time and should record past events including our thoughts and feelings. We all tried our very best to include these features in our own diary entry. Week 3 - This week we have been learning how to write a diary entry. We read some example diary entries and used these to create a diary success criteria. Once we were familiar with diary features and we understood what that were we planned and wrote a diary entry from Ben's point of view in the story we have been reading. The diary entry was about the day that Ben met his new invisible friend for the first time. We made sure we used lots of thoughts and feelings. 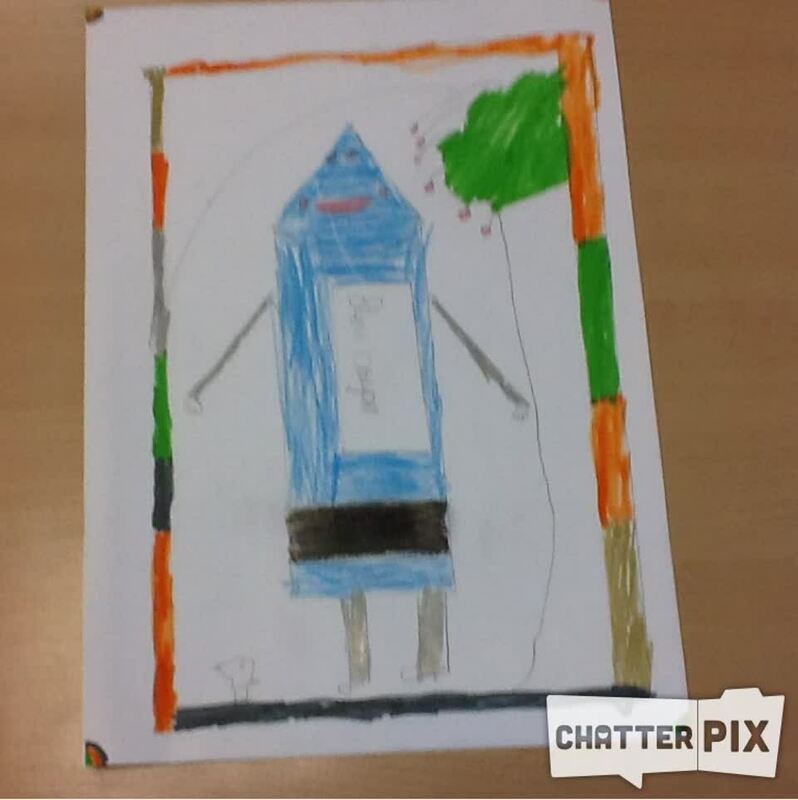 Week 2 - This week we continued to explore our story 'Chatterbox Ben'. Throughout the week we have been learning about similes and how we can identify them in writing. We found out that similes compare something using the words 'as' and 'like'. We practised writing some similes of our own when we created an imaginary friend for Ben from 'Chatterbox Ben'. We also had to use adjectives to describe what Ben's invisible friend would be like. We had to think carefully about the appearance, personality and special powers that the new invisible friend might have. Then we developed our ideas by writing telling and showing sentences to describe the new character. We also developed some more of our reading skills by completing a reading comprehension. We worked together to scan the text for clues, pick out information and highlight it to help us to answer questions. Lots of us are getting really good at using these skills now and are enjoying our learning. Week 1 - We started the term off by reading a story called 'The Night Shimmy'. We really enjoyed this story and it allowed us to identify and discuss different types of emotions and feelings. We used role play to act out different parts of the story and use our bodies and facial expresses to show how the characters felt. As a class we discussed different parts of The Night Shimmy in detail. We also thought about what our own imaginary friend would be like and how they might help us. We then moved onto reading another story called 'Chatterbox Ben'. This was a very good story and lots of us thought parts of this story was funny. 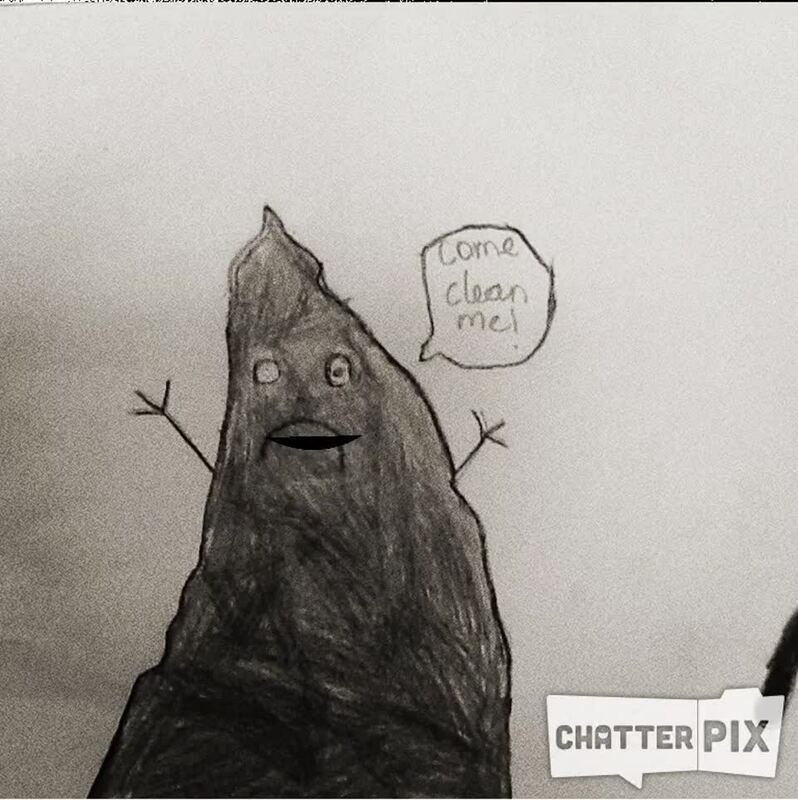 A lot of us could also relate to the character Ben and it turned out that he was a very big chatterbox! We explored some of the unusual language used and collected ideas about the different characters and the most important parts of the story. During the last week of Spring Term 2, Year 1 pupils did Literacy lessons instead of Read Write Inc. due to the Bike Ability course running in school. They were introduced to traditional fairytales and their special features. They read the Elves and the Shoemaker story together as a class and sequenced it using role play. They worked in small groups developing their acting skills and they performed in groups to the rest of the class. They then watched a short animated version of the story and explored adjectives to describe one of the main characters, Mr Bottle the shoemaker, and wrote their own character description. They enjoyed planning their performances so much that they finished off the week with Jack and the Beanstalk and shouting "Fee Fi Fo Fum!" There were some very impressive performances which led to some wonderful written character descriptions. Well done Year 1! We have had lots of fun this week investigating different aspects of Science. As part of our ‘I’m Alive’ topic, we have planted bean seeds so that we can observe the changes as they grow. We made the decision to complete the diary every three days so that we can record the growth of the seed. We know that seeds need water, light, air and time to grow. We used our knowledge as the basis for our experiment. We wanted to find out if a seed needs soil to grow so we decided to place our bean seeds on a wet paper towel and observe the results. We have created bean diaries to observe the changes that happen to the bean seeds over time. We also explored floating and sinking. Do you know what kind of materials and float? We gathered a range of materials from around the classroom including; felt, paper, wood, plastic and metal. We predicted whether the materials would float or sink and then we tested our predictions by placing the items into the water one at a time. We found that the plastic Numicon shape, the felt and the metal sank but the piece of paper and the wooden pencil and construction block floated. We expected the large items to sink but that didn’t always happen. We also investigated which materials a toy car would travel most quickly on. Everyone in our class really enjoyed this experiment. We tested the cars on carpet, lino and wood. Which material do you think was fastest? Some of us predicted that the car would travel most quickly on carpet because it is soft while other people thought it would be quicker on wood because it is smooth. We considered the properties of each material when we made our predictions. We found that the car travelled most quickly on the wood because it has a smoother surface. We then repeated our experiment with a different car to see if we would get the same results and we did. Some of us even made our own cars to test out our construction equipment. We also wanted to find out if bubbles are always round. We explored what would happen to the bubbles if we used different shaped bubble wands. To begin with we made our own bubble wands and then we made predictions about what shape we thought the bubbles would be. Then we got test out our ideas in the playground by using our bubble wands to create bubbles. We even made our own bubble solution! To our amazement we found out that all the bubbles were round even if we used a star or a heart shaped bubble wand! We talked about the air we blow into the bubbles pushing outwards and creating the circular shape of the bubbles. On Monday 5th March we celebrated World Book Day in School. Our theme this year was 'Bedtime Stories' so we all brought our pyjamas along with one of our favourite books. Throughout the day we did lots of different activities linked to World Book Day. One of our tasks was to decorate a potato to create our favourite book character. See what you think to some of the examples in the photos below! Everyone really enjoyed the day and we loved sharing different stories with our friends and teachers. Spring Term 2 - In week 4 and 5 we moved onto writing instructions. To begin with we read lots of different types of instructions and we unpicked the text to help us to see what skills are needed. We used this learning to help us to create a toolkit for writing instructions so that we would remember which skills we needed to use when we started to write our own instructions. We used some of the Fairytales we had read as inspiration for our instructions and first we wrote a set of instructions on how to make the Witch's house from Hansel and Gretel. We then moved onto using our imaginations to help us to write a set of instructions on how to make some magical shoes! We all pretended that we were the Little Shoemaker and we thought carefully about what type of magical shoes we would like to create, We all remembered to use our toolkit so that we included all the skills we needed for our instructions. In week 3 we all managed to write some lovely character descriptions of Mr Botte and his Workshop. We thought carefully about our word choices and tried to include the skills we have been learning about (adjectives, adverbs and noun phrases) to make our writing exciting for the reader. In week 2 we have been using The Little Shoemaker animation as a stimulus for our writing. We started off by watching the animation and describing the characters, setting and events. Next week we are going to be writing detailed descriptions of the Shoemaker, Mr Botte, and his workshop. We will be using different adjectives, adverbs and noun phrases to make our writing more interesting and exciting for the reader. Take a look at the animation below and describe the Shoemaker and his workshop with the help of your adults at home. Make sure you come back next week to see our fantastic descriptions! During the first week back after half term we have been busy reading lots of different Fairytale Stories and Traditional Tales. We have all really enjoyed the stories we have been reading so far this week; Jack and the Beanstalk, Puss in Boots, Pinocchio and The Gingerbread Man. We used our drama skills to act out parts of the story Jack and the Beanstalk. We thought carefully about using the features of traditional tales in our performances like 'Once upon a time..' to start the story and '...they lived happily every after.' at the end of out story. We also tried to use dramatic voices to make our performances more interesting for our audience. We have also been using what the characters say to help us to understand speech in a story. We have been identifying speech as well as using the correct punctuation to write our own speech for different characters. After we read Pinocchio we thought carefully about different words and phrases that we could use to describe Pinocchio himself. We also created Wanted poster for the Gingerbread Man as he had managed to escape from The Little Old Man and The Little Old Woman's house! Next week we will be continuing to read different stories with a focus on The Little Shoemaker. Check back next week to see what we have been doing! Spring Term 1 - In English we have been learning about play-scripts. We read a play-script called 'Oh, Gnome!' which we all really enjoyed. It contained the themes of honesty, friendship and persuasion which we discussed as a class. Using drama techniques like freeze frames and mimes we explored the characters in the script and looked closely at their thoughts and feelings throughout Oh, Gnome!. We also discussed what the characters' actions showed about them. We then went on to look at the importance of specific characters and moments in the script as well as understanding the impact of sound effects used in play-scripts at different times. Once we had a good understanding of the characters and the events in the play-script we then went onto writing a new scene for the play. We included the correct features of play-scripts and made sure the dialogue we used was interesting and that it revealed something about the characters' personalities. We tried to include exclamation marks and full stops correctly to show a command as well as using question marks to show a question. We used our up-leveling skills to make our writing even better as we were going along. We ensured we read through our work carefully and used our learning partners to ask for advice and opinions on how we could improve our work. Some pupils have been working in their Read Write Inc groups learning and consolidating sounds, reading and sharing books and producing some lovely writing. Week 3 - We continued to learn about telling the time. We worked hard to tell the time to quarter of an an hour on an analogue clock. Some of us have also been telling the time to the nearest five minutes. Some tasks have involved us writing the time shown on a clock and for some tasks we have been drawing the hands on a clock to show a specific time. We are all finding telling the time a little tricky but are showing great resilience. Remember to keep practicing these skills at home! Week 2 - This week we are learning about telling the time. Work with your adults at home to practice telling the time to quarter of an hour. Some of you might even be able to talk about time to the nearest 5 minutes too. Week 1 - This week we have been consolidating our learning and understanding linked to place value. We have been looking at the value of digits within a 2 digit number, some of us have even looked at the value of digits with a 3 digit number. We have also been partitioning numbers in lots of different ways. Week 7 - During our final week of term we have been learning about 2D and 3D shapes. Week 6 - This week we have been developing our skills in division. We have been consolidating our methods to work out division calculations. Some of us have been grouping amounts practically and some of us have been using our timetables to help us work out the answers. We have also been applying these skills to help us to solve division word problems - some of these problems have also had more than one step. We used lots of perseverance skills. We have also had the opportunity to use TTRockstars in the classroom to practise our timetables. Week 5 - For week five of this term we have been re-capping our knowledge of addition and subtraction. In year 1 we have become really confident at adding a one digit number with a two digit number. We have also been using subtraction to take away a one digit number from a two digit number. In year 2 we have been working on addition and subtraction using the column method. Some of us even had a go at questions where we had to carry in order for our column method to work. We challenged ourselves even further by working with three digit numbers. Week 4 - This week in maths we have been learning about fractions. In Year 1 we have been finding a half and a quarter of different amounts. We used apparatus to help us to divide amounts into equal parts. We enjoyed using the game of Snakes and Ladders to help us to practise doubling and halving number to 20. We also looked at finding a half and a quarter of different shapes. In Year 2 some of us were really challenging ourselves by finding three quarters and two thirds of an amount. We found out that we could start off by sharing the amount by the denominator of the fraction, then we needed to multiply that amount by the numerator. We all showed great perseverance with this task and we produced some fantastic work. Week 3 - This week's learning has been linked to finding missing numbers in different calculations involving addition and subtraction. We have been learning different ways to help us to work out the missing number. Some of us have used subtraction, addition and counting on skills. We have used Numicon, hundred squares and number lines to support us with our workings out. Week 2 - This week children have been recognising different money amounts. They have also been exploring how to make money amounts in different ways. Lots of us have also shown great perseverance skills when finding change from money amounts. Some of us found this tricky to start with but we kept on trying! During week 1 children have been recapping written methods for addition and subtraction and solving lots of problems related to place value. 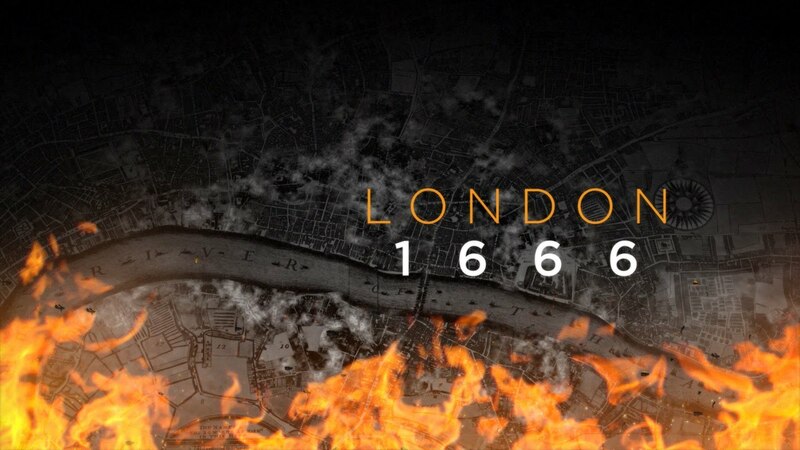 Our topic during Summer Term 2 is all about the Great Fire of London. In Week 3 and 4 we have been learning about different ways that we can find out about the past. One of the ways that people found out a lot about the Great Fire of London was through a diary that was written by a man called Samuel Pepys. He was an eyewitness in the Great Fire of London and wrote his diary based on the things that he saw, what he did, how he felt and what was happening. Once we had learned a little bit about Samuel Pepys we started to look at his diary in more detail. We looked at snippets from his diary and talked about the things that it told us about the Great Fire of London. We then thought about being an eyewitness ourselves in the Great Fire of London and wrote our own diary entries to show people what it was like to be there in the past. In Week 2 we have been comparing houses from 1666 to houses we have in the present day. We had a go at drawing our own Tudor houses and labelling them to describe the materials that used to be used to build a house. We also found out about how The Great Fire of London prompted the start of the fire brigade. We learnt about how the Fire of London was put out and what type of equipment was used and then we compared it to the fire fighting equipment we use in the present day. Can you remember what some of the equipment is below that they used to use in 1666 and what they were used for? During Week 1 we thought about some of the things we already know about the Great Fire of London and some of the things we would like to find out about during the topic. We listened carefully to the story of the Great Fire of London and we all asked lots of really good questions. We created a mind map of some of the things that we had found out. Towards the end of the week we talked about the main events and sequenced them in time order. Can you tell your adult about the Great Fire of London? What happened? When? Why did it happen? On Monday 4th June Donaldson Class visited the RSPB at Old Moor. This trip was part of our exit point for our Minibeast topic. Take a look at some of the photos below to see some of things that we were doing and learning about on our visit. We all had so much fun and really enjoyed our time at RSPB Old Moor. Our second Summer Term 1 topic is called Minibeasts. We have been learning what minibeasts are and have been looking at the different kinds of minibeasts. Week 7 - We started the final week of this half term by designing and making a board game. We had to use our maths skills and the board game had to have a Minibeast theme. We have really enjoyed creating and then playing our board games with our friends. Week 6 - In week 6 we started to think a little more about flowers and how these are important to certain types of Minibeasts. We looked carefully at the different parts of a flower and created a labelled collage of a flower using the stem/stalk, petals, leaf and roots. We learnt about the role of each of these parts too. This week we also created some super watercolour paintings and 3D paper models of Minibeasts - we all really enjoyed doing these activities. Week 5 - During this week we started off learning about what Minibeasts are and where they live. We talked about the different types of Minibeasts and looked at pictures of them. We then created our own picture of a Minibeast and we labelled the different parts. We learned some new words like Thorax and abdomen. 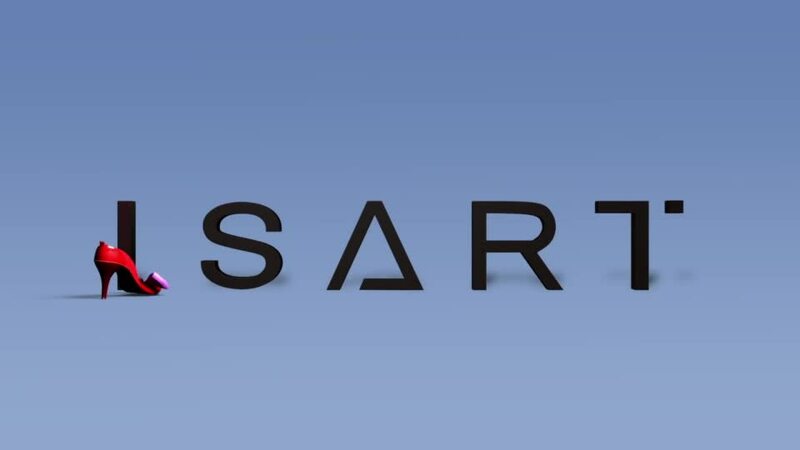 Can you tell you adult at home what these words mean? In art we also used collage to create a picture of a Minibeast. Our first Summer Term 1 topic was called 'How are you?' and was all about being and staying healthy. We learned about what healthy means and how we can make sure that we are healthy. Week 4 - During this week we learned about germs. We found out what germs are, how they can affect our bodies and how they spread. We participated in a little experiment to show how easily germs can spread. To do the experiment we went outside and made a circle. Mrs Hayes put glitter on persons hands and then they had to shake hands with the person at the side of them. We went round the circle shaking hands and we noticed that everyone started to get glitter on their hands! This made us realise how important it is to wash our hands before and after we do certain things. Week 3 - During week 3 we started to think more about exercise and how different exercises effect our bodies. We also started to look at personal hygiene and what this means. We learned about the important things that we can do to make sure we stay clean and healthy. Week 2 - This week we made fruit kebabs. We had the chance to taste different types of fruit. Some of the fruit we hadn't tried before, lots of the fruit was delicious. We learnt about the importance of eating fresh fruit and vegetables - we know we should try to each 5 portions a day. The fruit kebabs were very juicy and they were refreshing in the warm sunshine! We also created some mind maps of what our body needs to keep us healthy. Some of the things we learnt about we didn't even realise they helped to keep us healthy. We now know that we need a balanced diet, lots of regular exercise, to drink water, have plenty of sleep and have good hygiene. Week 1 - We started off by thinking about different foods that make us healthy. We then followed some instructions on how to make a healthy sandwich, once we were successful we even managed to enjoy the sandwich that we had made! Afterwards we then moved onto using experience and previous knowledge to write a set of instructions on how to make a healthy sandwich. Next week we will be exploring and tasting different fruits as we make some fruit kebabs! We also looked at what made a healthy meal. We designed a healthy food plate then we made our food plates using collage materials. We tried hard to make the foods look realistic! During Week 7 of Summer Term 1 we managed to fill our reward jar! We have all worked so hard as a class to make sure we earn lots of rewards. We decided to enjoy the nice weather and go on the climbing frame and tyres in the playground for our reward jar treat. Have a look at the photos below to see how much fun we had together! In our class we enjoy our Social Time in the afternoon. During this time we learn new games and gain new skills to help us to play and socialise with each other. We can then use these important skills at playtime and lunchtime. During the first week back of the summer term we played different skipping games as well as Hopscotch. On Wednesday 7th March the whole school enjoyed being involved in world maths day. We started the day with a whole school assembly. What a surprise we all had when we walked into the hall...it was like walking in a Rock Festival! We decided to use the world maths day to relaunch TTRockStars across the whole school and what a success it has been so far! Children in Donaldson class loved creating their Avatar on the TTRockStars App and having a go in the Garage and the Arena. Remember you can access this at home too to practise your times tables and become a Rock God! (There is a link and information about this further down the page). During the day we also took part in a number of maths investigations and problems, take a look at the photos below. Everyone on Donaldson class really enjoyed the day and we are looking forward to using TTRockStars in the classroom. Spring Term 2 - In week 4 and 5 we have been learning how to use different written methods to help us to solve addition and subtraction calculations. Year 2 children have been working hard to use column method and they are getting a lot better and more confident. They can also explain the steps that they need to take in order to answer the questions carefully. We have also been using practical apparatus to support us in our learning. We are all beginning to check our work a lot more carefully to make sure we have not made any little mistakes. In week 3 we used tally charts to help us to collect and organise data that we collected. We then used some different types of graphs to help us present our data. We learnt how to create Pictograms and Bar Charts, we realised that our graphs needed to be presented very neatly and accurately so that they showed our data correctly. Some of us then use our skills to interpret the graphs and talk about what they show. In week 2 we continued our learning on turns and did lots of different activities in class to help develop our understanding. Next week we will be learning about statistics. During the first week back we have been learning about Position and Direction. We have been learning about different turns; quarter turn, half turn, three quarter turn and full turn. We have also looked at turning in a clockwise and anti-clockwise direction. To practise some of the skills and language we have been learning and developing we completed lots of different activities. Some of us worked as a group and used our skills to control Bee-Bots around a simple maze that we had made. Some of us used a Bee-Bot App on the ipads and an interactive Bee-Bot program on the whiteboard. We all gave each other directions on the playground using directional language and we also completed some tasks in our books to show our understanding of turns too! We all really enjoyed doing these activities and learned a lot of skills. We have also been learning about patterns and sequences this week. We used multi-link cubes to help us to solve some problems linked to our learning. Spring Term 1 - In maths we have been learning about multiplication and division. We have been recalling our 2, 5, and 10 times tables and using these known facts to help us solve problems. To help us solve these problems we have also used different equipment, arrays, repeated addition and some mental methods. We have also been learning about fractions. We have recognised, found, named and wrote fractions including one third, one quarter, two quarters and three quarters. We have found fractions of different shapes. We also used the bar model to help us to work out fractions of numbers. We all know that a fraction is a part of a whole and the bar model helped us to see this. Some of us also looked at halving and doubling of numbers to 20. In addition we have been learning the names and properties of 2D and 3D shapes. Remember you can access My Maths from home to practise and consolidate learning in the classroom. You can also access ttrockstars from home too to practise your times tables. If you cannot remember your log in detail please ask your class teacher. Please follow the links below to access these websites. Our Spring Term Topic was called I'm Alive and was all about different things that are alive, dead or have never lived. During the first week we found out about living things through science. We started off by sorting animals into different groups. We used our geography skills to learn about places where plants and animals live, we also started to learn about different environments where we can live. We really enjoyed learning about endangered animals and we did some lovely writing to show what we had found out. In art we used what we had learnt about different environments to create a colourwash and silhouette picture that represented either a desert, ocean, arctic or a jungle. We also used our art skills to create still life pictures. We used sketching pencils, crayons and Brushes App to help us create our pieces of artwork. Autumn Term 2 - Julia Donaldson really enjoyed our Magic Toymaker topic. We explored that toys come in many shapes and sizes. We learnt that toys are made of different materials but all are designed for us to have fun with, to learn new skills and to exercise our bodies and our imagination. We compared toys in the past to modern day toys and we even designed some future toys! We also learned about toys and games from other countries. On Wednesday 28th February some of us enjoyed having fun in the snow with our friends. Visit the 'Gallery' page to see more photos. Each class was challenged by Mrs Dry and Miss Walker to create a video retelling of a story for National Storytelling Week. 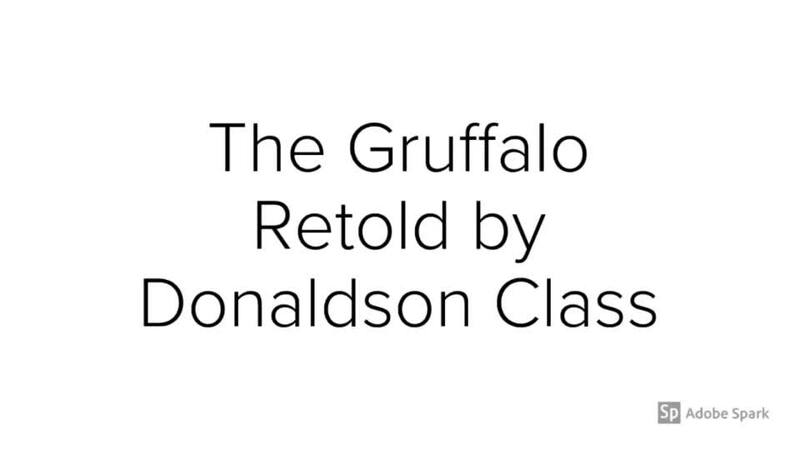 In Julia Donaldson class we choose to retell one of our favourite stories, 'The Gruffalo'. Please see documents below for the homework for Summer Term 2. Remember the projects can be completed and brought into school at any time during the half term. Well done to all the children that managed to complete their February half term holiday project. It was linked to our topic I'm Alive and you had to design and make a model of a house that would be suitable for an extreme environment; polar region, desert, rain forest, rocky island or grassy plain. Some children also wrote some instructions/explanations of what they did and produced leaflets and fact sheets of the information they found out about the extreme environment that they had chosen. We displayed the models in our classroom and in Key Stage 1 corridor. They looked fantastic - well done everyone! Take a look at some of the the creations in the photographs below.